Glogirly and I made it to Park City, Utah last night. No speeding tickets, knock on pavement. Glogirly did pull a 'Jeff Daniels' though. If you've ever seen the movie Dumb & Dumber, you'll likely know what I mean. One wrong exit and she turned a 1,200 mile trip into a 1,400 mile trip. There were words. Words that nearly curled my flat ears. She's blaming it on cheese. I'll explain, follow along carefully because it's complicated. She has built-in GPS in her car and has named him Jeeves. Why Jeeves? Well, it actually comes from a previous car she and Gloman had. It was a Land Rover (made in the UK) and the GPS voice had a british accent. She loved his voice and the way he talked. He was so polite. "If possible, make a U-turn..." the proper Brit would suggest. Well Jeeves stuck and now all GPS voices are Jeeves to her. The current Jeeves is almost 5 years old. He's not up to date on some of the newer roads and sent Glogirly to a cornfield the last night instead of the Hilton Garden Inn. So this morning she didn't trust Jeeves too much when he told her to go east as opposed to west. 150 miles later, she realized her mistake and it was too late to turn back. Jeeves was right all along, but she thought he was crying wolf again. So where does the cheese come in? Well Glogirly sent a text to Gloman to tell him of her predicament. But Siri doesn't hear too well. No matter how many times Glogirly tried to message Gloman about Jeeves, she just kept calling Jeeves, Cheese. We are very jealous we are not there. I hope you waved when you drove by the yurt! We are so jealous. Mom's goin next year, Cheese or not. MOl! Wow. The Woman doesn't have anything like that. It may be a good thing too! never trust the sat nav it is a computerised gadget after all! MOL. We're so sorry for Glogirly's troubles, but that post did kind of make us laugh. Especially funny to know, mummy named her GPS "Prudence" because Prudence has an English accent. We're also sorry about the extended extra miles, but sure did enjoy reading the story. My human does not trust those GPS dudes - she thinks she can always find a better way. She's arriving at BlogPaws late Thursday afternoon. By plane and shuttle (or taxi if she's too impatient for the shuttle). So she won't need GPS or a map. The only direction Cheese should know is down the stomach. Mommy has GPS on her phone but after asking her to turn right on a highway (and slam into the wall) and insisting she took the long and complicated way home, she's ditched it. Oh, Glogirly we are sorry you got lost. Can you update your GPS? that's funny... i've had some serious arguments with siri caused by her hearing. have a wonderful time and a safe trip. I am sorry that I am not going to get to meet you after all. I woke up yesterday with shaking chills and kidney stone pain. I spent the majority of the day crying. We did leave for the airport. Halfway there I had my husband turn around. I felt to sick to make the trip and was terrified of being on a 4 hour dehydrating flight and possibly ending up in a hospital in utah. Today I woke up with a miserable head cold. I am heartbroken. I had bought Toki Poki cards, business cards, flat pets, etc. The worst part is I am not able to meet you and see the others I had met last year. Have a great time, you will love it! I haven't stopped by in awhile...but I'm so glad I did! This was a great silly start to my day. Me and mom are feelin' sorry for ourselves not being able to be there (big ipmortant wedding) but will live vicariously through you all who are there. *sigh* so not fair. 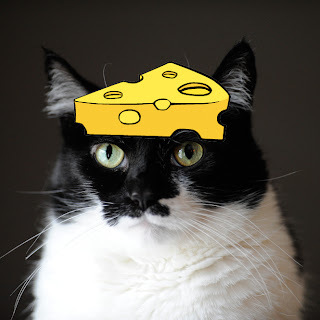 anyway, your Cheese sounds like my human sister's OOPSIE Daisy. She is not properly updated either and always takes wrong turns. How frustrating for Glogirly. M's motto is give "me" an old fashioned map that's been around for years so I can see where I'm going and where I've been. hehe Have fun. Our mom just got that phone with Siri but she hasn't talked to her yet. We hope Siri tells mom to bring us some cheese. It has been far too long since I have posted to your blog. I have been posting to a photo a day website and it is consuming my time. I had to get away for a bit and see what is going on in blog land as I have even neglected my blog and have to bring it up to date somehow. I love this post as you have had me laughing hysterically. It has happened to me but not as badly. I hope you have a wonderful time and get home ok with "Cheese". Too funny. 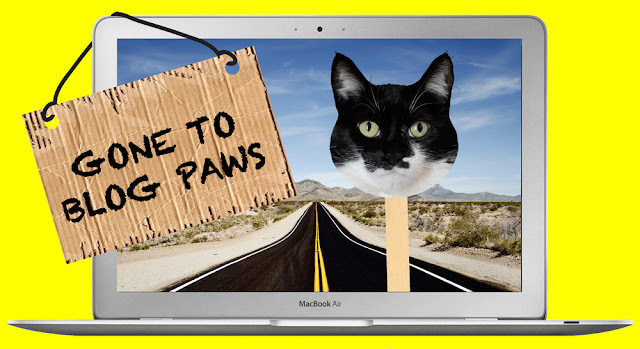 I have to back track and see about Blogpaws. Looks interesting. Sometimes Mommie uses the GPS around town where she knows how to get there, just so she can laugh at the mis-directions. She is easily entertained! We were glad to see that Glogirly finally made it so we could meet her and Flat Katie!! Woohoo - they're SO cool - Nope, of course they're not as cool as you - duh!